What Happened to Sandra Rinomato? If you’re a long time fan of HGTV (as you should be!) or just a big-time realityTV junky, then there’s a good chance that you’re very familiar with the Property Virgins’ darling, “Sandra Rinomato”. You’ve probably also noticed that for the past couple years, the charming, no-nonsense host hasn’t been on the screen coaching new home buyers through their first home purchase. So what’s she doing now? Buy Herself takes a fresh spin on the typical “real estate-reality TV genre”, by shifting attention from the standard home-buying couple, to the oft-ignored niche market of single women who looking to invest in their first property. Indeed, statistics say that as of 2012, approximately 25% if homebuyers are single ladies. It’s about time these independent women take the spotlight! The show has only been on the air for a little more than a year, but it’s already receiving rave reviews. 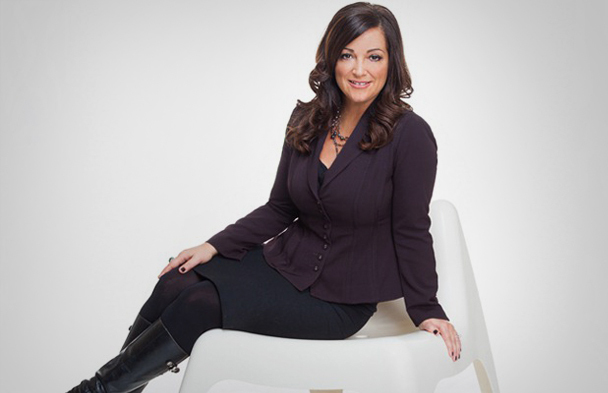 In addition to her latest reality television venture, Sandra Rinomato currently lives in Toronto with her husband, son, and dog, running her own full service brokerage in the city’s west end. Yes, we’re all sad to see Sandra’s honest but sweet persona leave Property Virgins, but we’re beyond thrilled that she hasn’t left the airwaves for good. Plus from what we’ve seen so far of Rinomato’s new show, Buy Herself is filled with more sass and excitement than ever. Turn on your TV and make sure to bookmark the next time Buy Herself airs. Awesome! She was a breath of fresh air with her straight-shooting ways. I was wondering whatever became of her. It’s so hard to keep up with all of these tv personalities these days. I’m so glad to hear about her new show. I haven’t seen it yet, but I’ll be keeping an eye out for it now. As someone who was a single lady when I was looking for my first home I’m excited to hear about a show that I can really relate to. I love watching Sandra on HGTV. I often wonder what happen to her, it is good to hear that she is still around and has notleft tv. I have not seen her tv program yet because I am in Michigan and I am going to purchase netflix so I can watch her as well as the show.